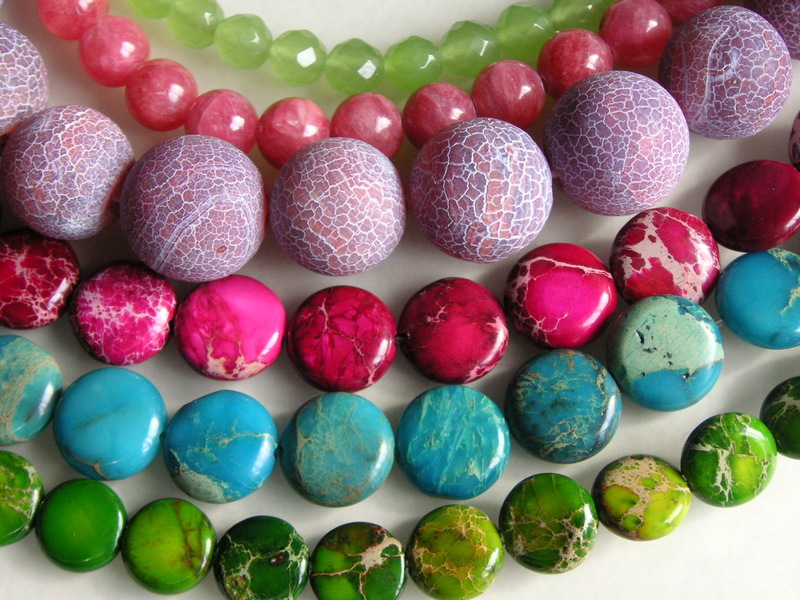 One of the fun things about creating jewelry is that I get to go to go to wholesale shows and shop for all kinds of goodies! Since I also teach, “buying things for class projects” is my favorite excuse for going overboard! You Can NEVER Have Enough Silver!! 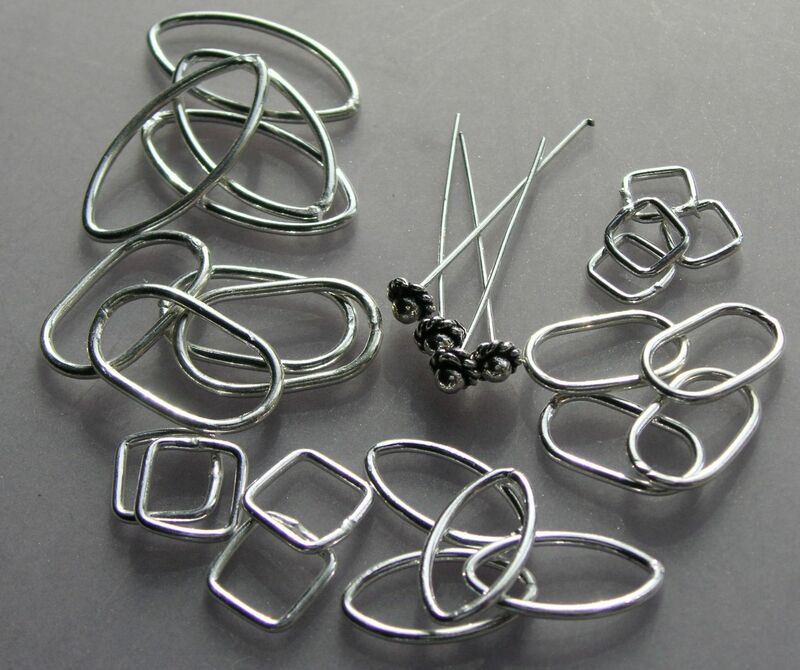 ABOVE: Although I make many of my own components, I prefer buying some pre-fabricated items… I really hate to make jumprings if they are made with wire thinner than 18g, so I tend to buy them in bulk and stock up. And I loved finding these fun shapes – marquis, ovals and squares – they make fun earring components, and my students love them! ABOVE: I teach several classes where we make wire wrapped pendants, and these large sized bead strands are some new stones I found. From the left, they are: American Jade (this may be a descriptive name…. 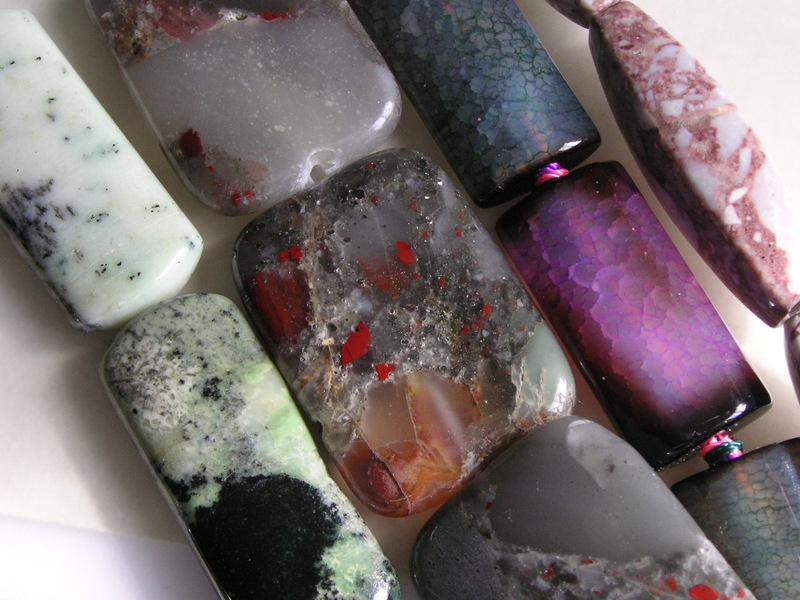 I think it is probably a jasper of some kind), African Bloodstone (these have some wonderful pyrite inclusions), dyed Trucolor Jade (again, this may be a descriptive name…. I think it is probably a quartz), and Red Jasper. ABOVE: These are what I call “fun and trendy” strands… they work great for earrings and bracelets, and make a great accent for metal work. The bright colors don’t need too much else, and they look fabulous paired up with the silver shaped jumprings above! From the top, they are Dyed Quartz (a warm green), Dyed Quartz (this pink strand is a great imitation of expensive Rhodicrosite, complete with cream colored striations! 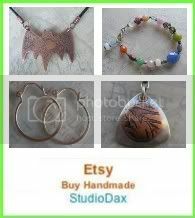 ), Crackle Etched Agate, and 3 strands of brightly Dyed Jasper. I will be creating some new pieces using these components and beads soon – I’ll make sure to post a few examples here when I add them to my shop!